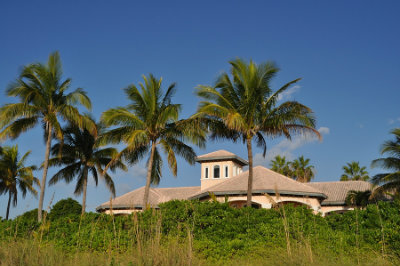 Search Nassau Luxury Real Estate in the Bahamas below! Nassau's close proximity to mainland United States has long made it a popular vacation destination and second home locale. The beautiful luxury properties take full advantage of the island's sublime tropical climate and fertile landscape. Many of the most beautiful luxury homes are majestically situated alongside the island's sparkling white sandy beaches, within view of the luminous emerald waters of the Caribbean. Just picture yourself enjoying the island lifestyle, sipping a cool drink under a palm tree as a cool breeze from the ocean blows over you. With the purchase of a Nassau luxury home, all this can become a part of your daily routine, all within easy reach of a major metro centre, complete with every convenience. Browse through the available Nassau luxury real estate listings now, or learn more about making this one-of-a-kind island getaway your home. The Nassau luxury homes are awe-inspiring. There is simply no other way to describe them. These grand residences are resplendant, radiating incredible pastel colors and bordered by towering palms. You'll also gain incredible access to the many beautiful beaches found throughout the island of New Providence. Is a full home too much? Nassau also offers an incredible selection of luxury condos and townhomes, where easy living is taken to the next level. Enjoy the full resort lifestyle amenities from your own home. These stunning protected communities take full advantage of the incredible natural surroundings and still remain in close proximity to all the conveniences of Downtown Nassau. Enjoy a fulfilling life in this serene island paradise; it'll be the best decision you ever made! Interested in learning more about the incredible Nassau luxury real estate? Please don't hesitate to contact ERA real estate online or call 242-393-1811 to consult one of our luxury homes experts.